To investigate how variations in the small-scale distance between patchy reef modules affect the structure and composition of the associated ichthyofauna, concrete reefballs were arranged in three distance configurations, 0.5, 5 and 15 m, at 9 m depth off the northern Rio de Janeiro coast. The ichthyofauna was sampled in the dry and rainy seasons using gillnets, and the composition, richness, diversity, abundance and biomass per distance unit were recorded. The availability of potential macrobenthic prey was evaluated using a stainless steel corer for each inter-module distance, and the results correlated with the stomach contents of the captured ichthyofauna. Community descriptors did not significantly change with treatments of reef distance. A canonical correspondence analysis revealed similar fish composition among reef distance treatments, but increased occurrence of exclusive species and habitat-dependent fish with increased distances among reef modules. 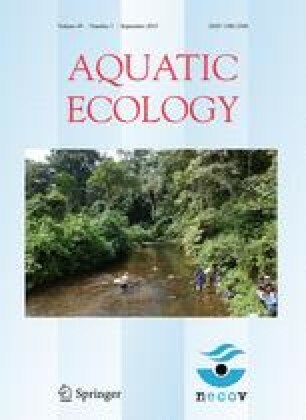 Non-metric multidimensional scaling showed different composition of fish populations between sampling periods, with a predominance of Sciaenidae in the dry season and Ariidae and Carcharhinidae on the rainy season. The adjacent infauna was not directly related to the ichthyofauna but to the benthic prey, which were possibly using the structure interstices, and small fish. Significant effects of seasonal freshwater and sediment loads from large regional coastal rivers may override the effects of reef configuration, especially during rainy seasons with higher inflow. As the shorter reef distance exhibited generally the same richness and abundance compared with larger and more distant reefs, a patchy design with <5.0 m distances is thus recommended for the distribution of artificial reefs to increase fish biodiversity in coastal environments with homogeneous substrate and seasonally influenced by freshwater outflow and sediment from large rivers. This work was funded by the Research Foundation of Rio de Janeiro—FAPERJ (E-26/110.437/2010)—and the Brazilian Agency for Research Development—CNPq (470997/2010-9).